Hey there! 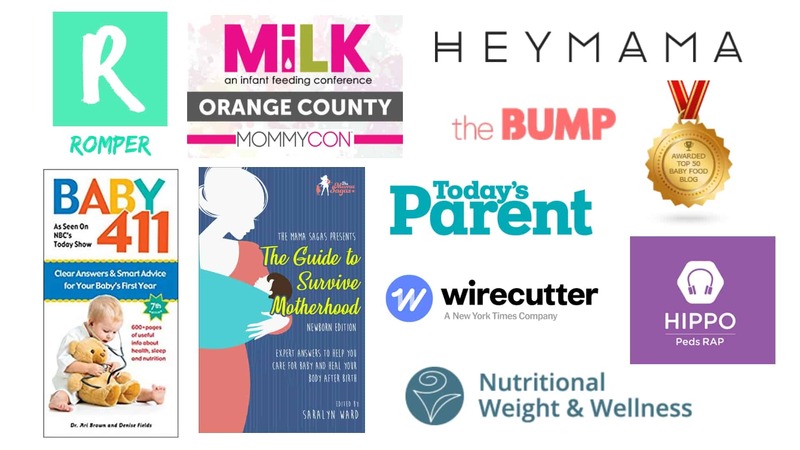 If you haven’t already read the article about understanding your baby’s microbiome and how to add a probiotic to your baby’s formula, please read those first! This article is for parents who are determined to now add a prebiotic supplement as well, and want to know the best way to go about doing that. 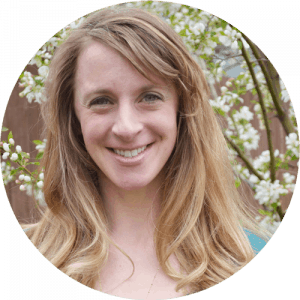 If you do want to try a prebiotic supplement, you must do your research first! This means reading the list of ingredients on the supplement label carefully. There are countless types of prebiotic supplements on the market. Galactooligosaccharides (on the list above) and beta-glucan (not on the list). Beta glucan is a prebiotic found in oat fiber (among other foods) that has numerous health benefits in adults. However, in my opinion, there hasn’t been enough research in young infants to convince me that it won’t cause those tiny intestines any distress. 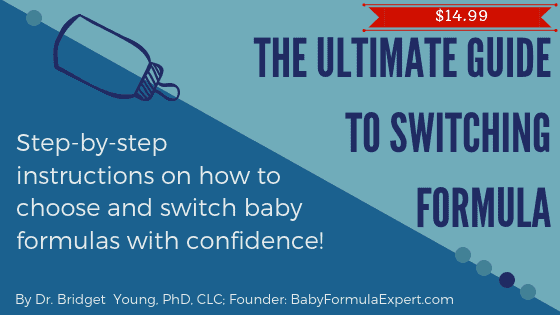 I have found one study that showed it was safe, and even beneficial, in follow-up formula. But those children were older (1-4 years) (1). That’s why I currently recommend finding a baby formula with a prebiotic already added if that is important to you. If your baby is under 3 months old, work your way up to the full daily dose over the course of 2 weeks. If your baby is over 3 months old, work your way up to the full daily dose over the course of 1 week. Monitor for signs of intolerance or intestinal distress each day (most likely are excess gas and bloating, spit up, constipation or diarrhea). Be sure you are splitting up the prebiotic supplement throughout the day, not all in one bottle. One supplement that I often recommend for adults is made by Klaire Labs, called, Galactomune. It’s one of those supplements with both galactooligosaccharides and beta-glucan. I had to call the company to find out that the supplement is approximately half galactooligosaccharides and half beta-glucan. Galactomune (and others like it) are made for adults so adjusting the dosage for infants is difficult! Deciding how much to give your baby is tricky and takes some math! This is the reason I am writing this article. Most research studies that establish prebiotics are safe in baby formula use a concentration of 4g/L. That’s the amount I used to calculate the two examples below. As you can imagine from the table above, measuring out 0.1 teaspoons is VERY difficult! This is another reason I am nervous to recommend it to parents. It is very easy to accidentally add way too much to your baby’s bottle and that could result in a serious tummy-ache. Also, if you choose a supplement that is a different concentration than Galactomune, you need to do all these calculations for yourself. Always check with your doctor about the decision to give a prebiotic supplement and the dosage you have calculated!! It always helps to have someone double-check your math when your baby’s health is hanging in the balance. 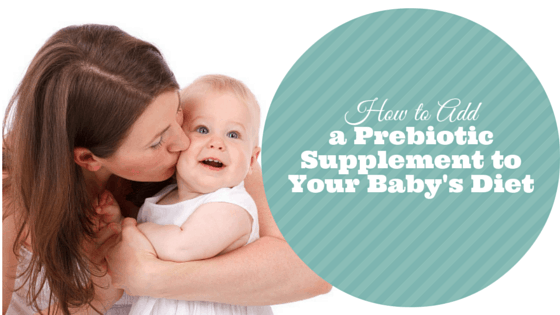 I am always looking for a new prebiotic supplement that is safe for babies, so if you know of a supplement that contains only ingredients from the list at the beginning of the article, please tell me in the comments! I’d love to hear about it. 1.Scalabrin D, T. R, Peixoto de Matto A, Zhuang W, Stolz S, Pontes M, Almeida I, Godoy C, Gatto S, Leal V, et al. Formula with docosahexaenoic acid, prebiotics, and beta-glucan supports respiratory and skin health in children FASEB 2014; 28(1): 382.6. Is there any Infant formula that already had Prebiotic? YES! Most formulas have a PREbiotic now. The major options are: Galactooligosaccharides (GOS), Fructooligosaccharides (FOS). Enfamil also uses polydextrose. 2FL (2 fucosyl-lactose), is a breast milk based PREbiotic that is now in some of Similac and Gerber’s formulas too. What are your thoughts on this one? I am already using a probiotic and wanted to add a prebiotic to help with my 15 week old baby’s severe constipation. He is currently on Holle Goats Milk formula. 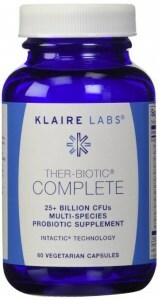 This supplement seems to have the FOS and probiotic together. Does it seem safe to drop the probiotic and take this one as a blend? Hi Alli, Check with your doctor first. However, these strains and PREbiotic (FOS) are considered safe for babies. Most formulas use GOS or a blend of mostly GOS with a little FOS, so this is a little unusual in that capacity. I would switch very slowly, work up to the full dosage and try to spread the dose out over the day if possible. Be sure your Dr is on board first. Jarrow also makes a baby PRE + PRObiotic supplement with a PREbiotic blend that is more typical (more GOS than FOS). it has more strains but the same total dosage. It’s another option to consider showing to your doctor. I see you said a 5-ish month old infant would be eating around 35 oz. a day. Do you have a post about how much formula a baby should be eating? My pediatrician said my 4.5 month old daughter “doesn’t need more than 32 oz” a day, but sometimes if I feed on demand she eats 34-36. What are your thoughts? I do not feed solids yet (will start at 6 months or slightly before). Hi Erin! You haven’t found an article on my site about how much a formula fed baby should be eating because it is SUCH a complicated answer!! My standard answer is that pediatrician’s opinion is always right! They are familiar with your baby, and I am not. But in general, my rule of thumb is: 2.5 oz per pound of body weight, with a maximum of 32 oz per day (like your Dr said). Some babies will naturally drink more less, and some a bit more than this, and that is normal. Plus, your individual baby will increase her intake when she’s in a growth spurt, and then will level off once the spurt is over. I love hearing you are feeding “on demand”. To me, that is more important than sticking to a strict number of ounces. I personally think it’s OK to have a few days here and there that she eats over 32 especially if she’s exhibiting other signs of being in a growth spurt (like sleeping more). Furthermore, since she is 5 months old, this is the maximum formula she will be eating since she’ll start getting additional calories from solids soon. Mother’s intuition is golden to me, so trust your gut. I have to say again that this is only my opinion – and every baby is unique! I hope that is helpful.